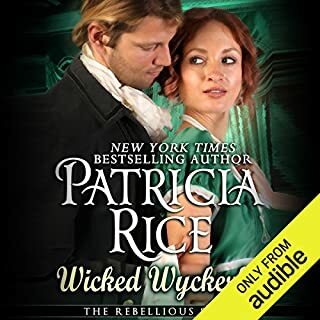 Her pious father’s murder leaves Faith Montague orphaned and lost on the dangerous road to London , only to be rescued by a notorious highwayman. Morgan de Lacy, a lawless rake with the bearing of a nobleman, treats her finer than those who should have loved and protected her. Recognizing a fine gem when he sees one, de Lacy sets about seducing his orphaned companion. His caresses incite passion…his fiery kisses tantalize, and Faith is in peril of losing herself to temptation. 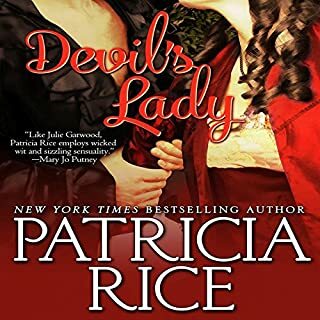 Lady Marian Lawrence is in London to snare a rich husband to save her family from ruin - a difficult task given her biting wit and lack of beauty. Hiding her true self, Marian is about to win the wealthy and amiable Lord Darley - until the detestable Reginald Montague blocks their path to the altar. Reginald Montague has vowed to never marry and is determined to keep his bestfriend Darley from being snared by a fortune hunter. Abused and thrown from her wealthy home as a child, taken in and sheltered by peace-loving Quakers, Lady Alexandra Theodora Beaumont tries to lead the religious, obedient life of her adopted parents. But despite all her efforts, Pace Nicholls brings out the willful child she'd once been. Raised by a ruthless family, Pace must conceal his weakness for defending the less fortunate. But little Dora acts as his conscience, bringing out his worst flaws. To survive and achieve his ambitions, he must avoid her at all cost. Samantha Neely thought she might have to kill Sloan Talbott. Talbott had already tried to run her and her family out of town, and now she finally had her chance to confront the man she believed responsible for her father's disappearance. To do so, she had to prove she was woman enough to bring down the handsomest, most sinfully dangerous man she'd ever met. Sloan Talbott called Sam a ragtag redheaded tomboy, but her honeyed voice taunted him. In denims, she made him crazy. Jules, the Sixth Duke of Dandridge disdains Society and all its trappings, preferring the country's solitude and peace. 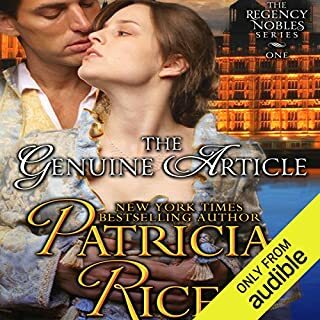 Already jaded and cynical since the woman he loved died years ago, he's become even more so since unexpectedly inheriting a dukedom's responsibilities and finding himself the target of every husband-hunting vixen in London. Just okay story and perfect narration.. When a mysterious gentleman arrives on his doorstep, Alexander Moreland is astonished to discover that the stranger is not a gentleman at all but a beautiful young woman disguised as a man and in great need of assistance. The woman remembers nothing except her own name, Sabrina, and has only the contents of her pockets as clues to her identity. Sabrina is certain that she is on the run from someone or something - how else to explain the bruises on her face and the pervasive sense of dread she feels? Where is China Bride, the 2nd book? Lady Cassandra Howard has frequented gambling hells as her father's lucky charm since childhood - but luck ran out along the way. Now, her brother intends to sell her into marriage with a wealthy, dissolute rake. Cass has done many things for her family, but this won't be one of them. Her neighbor, “Saint” Wyatt Mannering, Earl of Merrick, has chosen a bride - one as proper and virtuous as he. But when lovely Cass attempts to trick him into marriage with seduction, he's almost tempted - except she's much too nave to be a seductress and his conscience won't let him. By saving her reputation, he ruins her life. 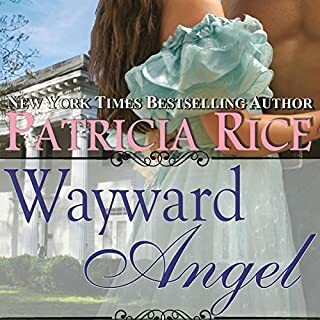 After a young man nearly dies in a duel attempting to protect Cass from her abusive husband, she flees to her burned-out home in the country - the estate next to Wyatt's, where she vows never to be dependent on another man, including the earl, who is rapidly losing his halo over his ravishing new neighbor. 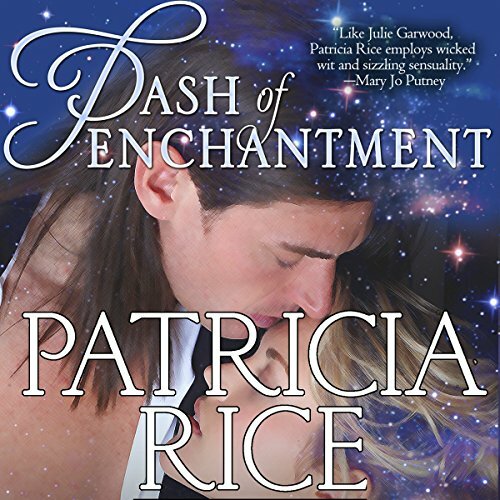 ©2013 Patricia Rice (P)2014 Audible Inc.